At AAS many students love reading science fiction, fantasy and dystopian novels and I do too. Some new and wonderful options are Dry, The Wicked King and Trail of Lightning. Here’s more info about each. 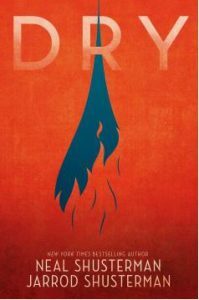 Dry: The residents of Southern California were warned to conserve water but almost no one was prepared for the day that the water taps were turned off. This harrowing survival story feels all too possible. 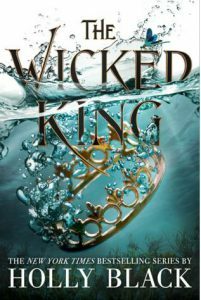 The Wicked King: The sweet and horrifying splendor of the world of faerie is back in book 2 of the Folk of the Air, but alas it was such a scintillating read that I finished it in one day. I’m considering reading the Cruel Prince again and then this one a second time. It was a brief but rich dalliance and I can’t wait for more. 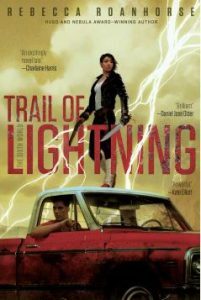 Trail of Lightning: Packed full of action with mysterious characters both human and from Pueblo mythology. I thoroughly this enjoyed this fast-paced dystopian adventure. This entry was posted in What We're Reading by fellerk. Bookmark the permalink.